A portly panda spreading kindness and love. With a big round belly and a little happy face, this panda makes a great gift or decorative addition to any home. Perfect plush for hugging and snuggling up with. 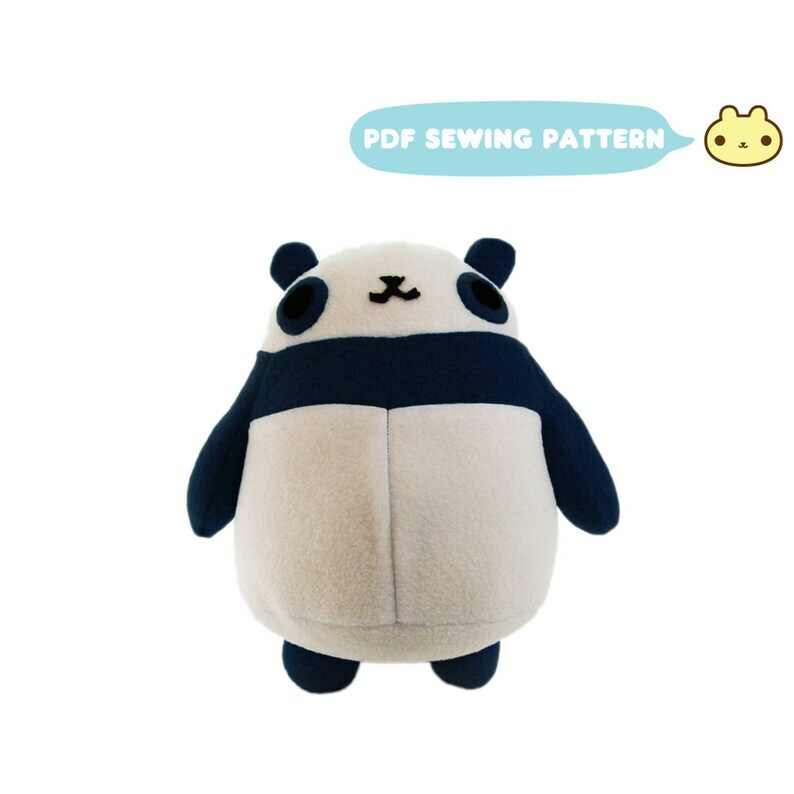 You can make your very own plush panda toy using this digital pdf pattern. Easy pattern to follow. Just made a couple of minor tweaks to my liking. Thank you! Adorable pattern. Very well written. Received immediately. Thank you! I am so excited for this pattern! The instructions are clear and easy to follow, with lots of colour pictures, and the pattern itself is adorable! My kids are going to love their custom-coloured Cthulhu plushies this Christmas! Thanks!